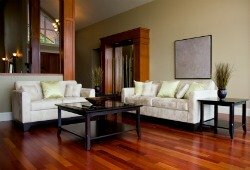 Prior to starting a Chicago hardwood flooring project you will find yourself faced with a lot of questions. The more you get into it, the more you become aware of this fact. Wheather you are looking to install your floor, refinish it or repair an old hardwood floor, the details are many and they all count in the outcome of your hardwood flooring project. This is why, we've created this website. To help you, the homeowner, find answers to all the hardwood flooring questions you might have. One of the first challenges you will run into, prior to installing a wood floor will be to make your pick between solid vs engineered wood flooring. Understanding the differences between the two, it will make your life much easier during the selection process. Cork, bamboo or reclaimed flooring…? They are not all made the same; some are greener than the others! Understand your green flooring options prior to selecting the materitionareal for your home. Floating floors can be installed in more than one way, using all types of flooring. People often believe that floating means anything but hardwood, even though that's not the case. Hardwood is still an option, even in the case of floating hardwood floors. More details, here! 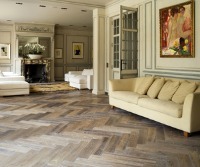 Understanding hardwood flooring types is essential, prior to buying the wood. Learn the advantages and disadvantages of each one of them to make sure you make the right choice. It’s not often that I take the time to write a testimonial, but I had to let everybody know how pleased I am with Flooring Innovations. Marius came to our house three times prior to even signing the contract, just to answer the various questions we kept on coming up with. He kept on coming back with different samples, different types of finish, stains until we finally decided what we wanted. Once they started the project, their professionalism and craftsmanship was amazing. 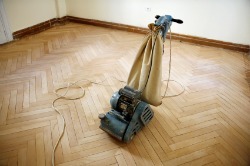 So, it's finally time to refinish your floor. From preparation to execution there are many details of the floor sanding process that you need to be aware of in order to succeed. Here you'll find all the details of hardwood floor refinishing. So, you've got your hardwood floors already. They said the floors will last a hundred years… But if you don't maintain it properly, it won't. Understanding what to do and what not to do, in the wood floor maintenance process is imperative for a long lasting, beautiful floor. Here we are telling you what to do and, even more important, what not to do in order to keep your floors beautiful for life. Dan was very patient in explaining the different options we had for installing wood floors in our condo. He worked with our building management, did everything he could to accommodate us, as well as the neighbors… I can’t think of anybody else that could’ve done a better job than him. If you need a flooring contractor, stop looking. Dan will go above and beyond to meet your needs. Some hardwood flooring pictures from our previous projects… Please take a look around and see what you can find, you might even get some ideas for your own flooring project. When it comes to professional Chicago wood flooring installation, Flooring Innovations has the process, the experience, the warranty, and the commitment to add a new level of beauty and strenght to your home — for many years to come. You're bound to have questions. We will be happy to come by and personally answer all your design, wood choice, and installation questions. Contact us to get all the details. Go to Chicago Hardwood Flooring, top of the page.